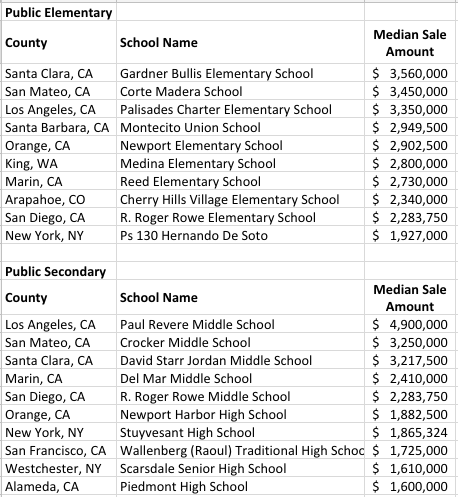 According to data from realtor.com, parents are spending millions, often above their area’s median sales price for their children to attend the best public and secondary schools in their area. The schools are based off of GreatSchools rankings, which rates a home from 1-10 (10 being the best) based on factors such as educational attainment, safety, etc. While this data favors luxury homes, studies have shown that parents of all economic background are willing to sacrifice things they wanted in a home to be near a better school district.